Only 4 km from Dili’s International Airport, Excelsior Resort features an on-site restaurant, outdoor swimming pool and air-conditioned rooms with free Wi-Fi. Free buffet breakfast is included. Each room at Excelsior Resort Hotel includes a flat-screen TV with cable channels, private bathroom with shower, tea/coffee making facilities and a desk. Suites are available with a sofa and 2nd bathroom. 24-hour reception and security guards are available. Conference facilities are available for groups of up to 60 guests. Free airport transfers are available for reservations of 3 nights or more. Excelsior Restaurant serves Chinese and Western cuisine, and is open for breakfast, lunch and dinner. The bar serves beers, wines, spirits, soft drinks and coffee. 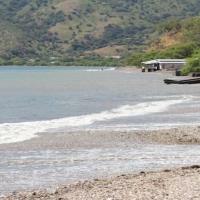 Dili offers white sand beaches, fishing, diving and excellent restaurants. Panti Kalapa, also known as "Embassy road", is just 100 metres away. Featuring a swimming pool, tennis court and fitness centre, Hotel The Ramelau is located 10 minutes’ walk from Dili Beach. All accommodation offers a flat-screen TV and a refrigerator. Guests enjoy a restaurant, a café and a bar. The Ramelau Dili is 5 minutes’ walk from the local supermarket. It is 5 minutes’ drive from Timor Crocs National Statium and 10 minutes’ drive from Nicolau Lobato Airport. The restaurant and café both offer an à la carte menu of Asian and International cuisine. The café is located by the pool and features an al fresco dining area. The lobby lounge and bar serves a range of beer and wine. All accommodation is air conditioned and includes a private bathroom with a shower, hairdryer, slippers and toiletries. 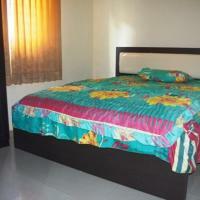 Some accommodation also includes a fully equipped kitchen, laundry facilities or a bathtub. Your included breakfast consists of continental options such as fresh fruit, cereal, baked goods and juices. Situated just 100 metres from Dili Beach, this hotel offers a bar, restaurant and a swimming pool surrounded by sun loungers. Timor Leste Wharf is just 90 metres away and restaurants and shops are within 5 minutes’ walk. All air conditioned accommodation includes a TV, minibar and tea/coffee making facilities. Each room and suite has a private bathroom with a shower and a hairdryer. Some rooms also include a sofa or CD player. The Hotel Timor Restaurant offers an à la carte menu with Portugese influences and the snack bar serves sandwiches, chips and beverages. Buffet breakfast is available and includes continental options and Asian cuisine. Guests can relax with a cocktail at the pool-side bar or visit the on-site gift shop. Local activities include swimming, fishing and diving. Hotel Timor is located in the centre of Dili, 10 minutes’ drive from Nicolau Lobato International Airport. It is 15 minutes’ walk from Timor Crocs National Stadium. Located on a secluded beach, Beto Tasi Resort boasting bungalows with a patio and sea views. Guests enjoy free laundry facilities and free on-site parking. 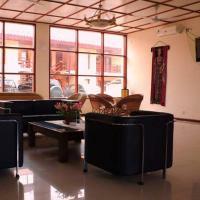 All air-conditioned bungalows feature satellite TV and a kitchenette with a coffee machine, stove and microwave. Enjoy a walk through the local fishing village or prepare a meal using the BBQ facilities. There is also a guest library offering over 200 books. Beto Tasi bungalows are located 5 minutes’ drive from Nicolau Lobato Airport. Timor Shopping Plaza and Dili city centre are each within in 10 minutes’ drive. Offering self-contained accommodation with free Wi-Fi, Bemori Apartments are 2 minutes’ drive from the Dili Convention Centre. Guests enjoy free on-site parking and a spacious courtyard. The spacious fully serviced apartments each offer a fully equipped kitchen, a dining setting and a lounge area with cable TV. All apartments offer private bathroom facilities. Centrally located, Dili Bemori Apartments are 15 minutes’ drive from Presidente Nicolau Lobato International Airport. The Courts of Appeals, the Ministry of Health and the UNICEF building are all within 5 minutes’ drive. There are several restaurants within 10 minutes’ walk of Apartments Bemori. Located opposite the beach, Metiaut Apartments each offer free Wi-Fi and a fully equipped kitchen. The property features free secure parking and a shared terrace. 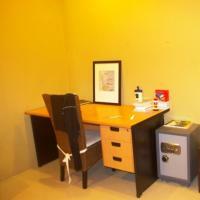 All apartments offer a dining setting, a desk and a TV with cable channels. Each includes private bathroom facilities. Dili Metiaut Apartments are 5 minutes’ drive from Dili Convention Centre and 15 minutes’ drive from Nicolau Lobato Airport. 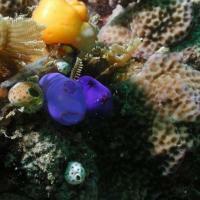 Guests can visit Dive Timor Lorosae for scuba diving options, just 7 km away. There are several beachfront dining options within 10 minutes’ walk. Centrally located in Dili town centre, Katua's Hotel features free Wi-Fi and free buffet breakfast. The property is just 5 km from Areia Branca Beach and offers an on-site travel agency, restaurant and café. The hotel staff speaks a variety of languages including English, Portuguese and Indonesian. The travel agency is open Monday to Saturday and assists with flights, car rentals and cruises. The café and restaurant is open daily and serves a variety of Portuguese and International cuisine. All rooms and suites have air conditioning, a refrigerator and a flat-screen TV with cable channels. Katua's Hotel is 6 minutes’ drive from Timor Plaza Shopping Centre. Dili Convention Center is a 10-minute walk and Nicolau Lobato Airport is 12 minutes’ drive away. White Sands Residence features self-contained accommodation with a private terrace and lovely garden views. It is located in Cristo Rei, 2 minutes’ walk from the nearest beach. 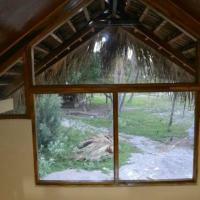 Your spacious villa is air conditioned and features a dining area and a kitchen with a stove and a refrigerator. The lounge area is equipped with flat-screen cable TV, a DVD player and a CD player. The laundry includes a washing machine. White Sands is a 10-minute drive from the centre of Dili. Nicolau Lobato International Airport is 20 minutes’ drive away. Located 500 metres from Bebonuk Beach, Arbiru Beach Resort offers free Wi-Fi, free breakfast and free airport transfers. Guests enjoy a swimming pool, a restaurant and a bar. All accommodation features a patio or balcony. All apartments feature a kitchenette and an open-plan living area with a dining setting. Each includes a sofa, a built-in wardrobe, a TV with cable channels and a DVD player. Some apartments offer pool views. Guests can play billiards, relax by the pool or organise activities at the tour desk. Hiking, scuba diving and fishing trips can be booked upon request. Dili Arbiru Beach Resort is 5 minutes’ drive from the U.S Embassy and the Ministry of Foreign Affairs. It is 12 minutes’ drive from Presidente Nicolau Lobato International Airport. Breakfast consists of your choice of eggs, bacon, breads, cereal and fruit. The restaurant is open for breakfast, lunch and dinner each day and offers stunning sea views. It offers Asian and Portuguese cuisine, and specialises in seafood.